BEATPORT EXC: 12th Mar 2019 RELEASE: 26th Mar 2019 Press Release 0101_006 1. Maztek - Wrecktified 2. Maztek - Ultrafunkular 3. Maztek feat. Coppa - Real Mobs 4. Maztek - R4v3r5 5. Maztek - Dngrs 6. Maztek - Babylon 7. Maztek - Ghost Track Following the fiery success of his ‘Warpath’ LP, an immense package of tracks that identified how Maztek was still a mainstay producer within the darker soundscapes of drum & bass, Maztek is about to return. The album broke the news of his 0101 Records label, a base for Maztek and one which hasn’t just showcased his own sonic artillery. It’s also brought in a trove of producers who’ve all shown their flair for electronic music, although only the darker kind which has infiltrated many playlists throughout the European continent, as well as further afield across the Atlantic. And one primary reason for this is how powerful his music has proven to be when flung through stacked speakers, infiltrating even the most niche spaces to cause the upmost chaos on dancefloors. This next release is Maztek’s first EP for 2019, not only following ‘Warpath’ but also his ‘Uncoded’ release in the latter half of last year. 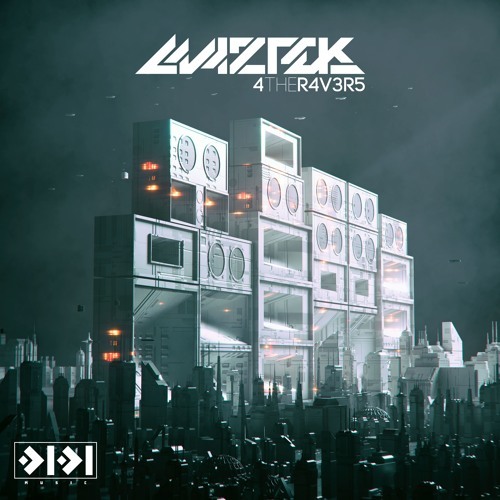 ‘4 the Ravers’ represents Maztek’s background as a DJ, something which he’s just as notorious for as his music, with the producer having travelled extensively with sound systems before he began working within more formal venue settings. Consisting of seven brand new cuts, ‘4 the Ravers’ journeys through an array of styles and delivers you at the helm of his production. From the clapping drums of ‘Wrecktified’, through to the half-time levels of ‘Ghost Track’, Maztek flaunts his versatile style. ‘Ultrafunkular’ lends itself to its name through deliberately placed grooves, whilst lyrical MC Coppa adds his gruff-vocals to ‘Real Mobs’. Maztek’s ‘R4v3r5’ matches the same staunchly honed production as the remaining tracks, then ‘Dngrs’ follows suit in a similar vein, punching hard with every slamming segment. ‘Babylon’ comes through with a speed that tackles you unaware before you’re taken into each seismic build up alongside its dizzying forces. However, it’s not the cookie-cutter shape which some darker producers have a penchant for and it’s complex layering means you’re taken through each lumbering step as the record progresses. Maztek sets out the path of 0101 Records for this year and it’s one which has already had scorching results. He’s made himself heard already this year and with a release schedule stretching out into the summer, Maztek is about to capitalize on a rocketing launch.